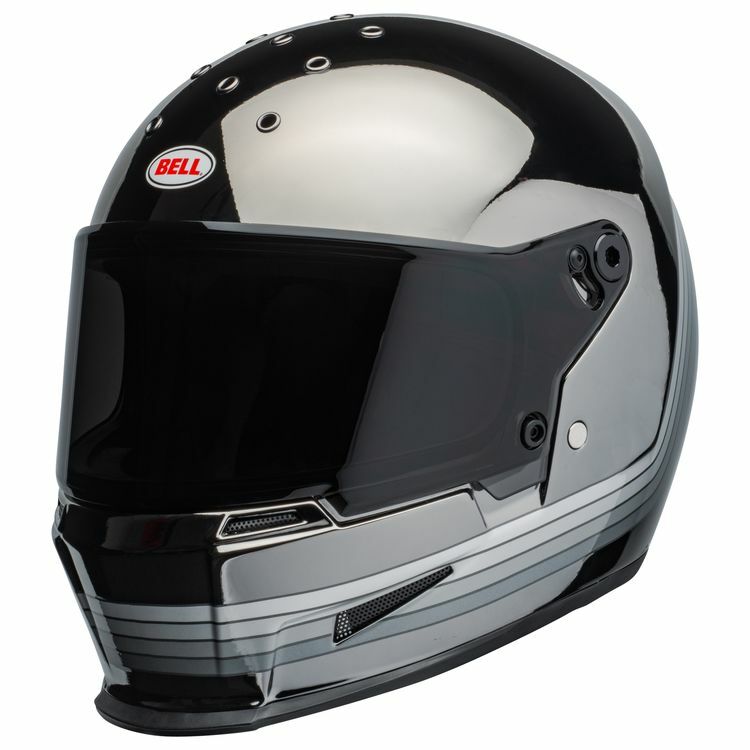 The Bell Eliminator is a stripped down, yet bold, full-face helmet with street cred. Constructed with a fiberglass composite shell, the Eliminator boasts the ProVision dual pane, anti-fog face shield with Class 1 optics. The anti-bacterial liner and contoured cheek pads are comfortable. Take off the face shield and put on the optional peak for use with your own pair of goggles. 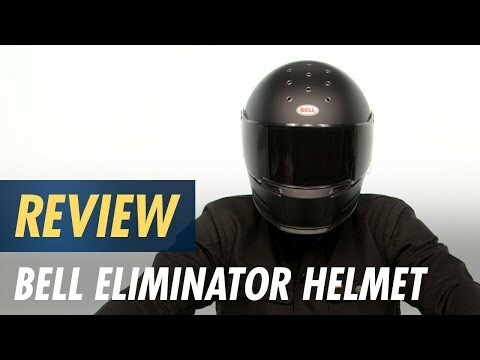 Note: Helmet ships with Clear face shield only. Dark smoke face shield sold separately.